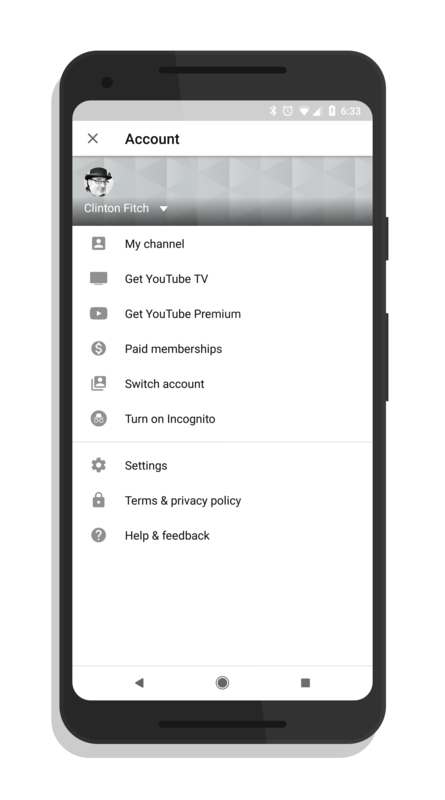 After being in a limited test mode for the past several weeks, the new YouTube incognito mode is now rolling out to everyone. The feature allows you to eliminate the virtual footprints you leave while watching content on the streaming service. For Android users, you need to make sure you have the latest version of the app, build 13.25.56. The new feature significantly cuts down on the amount of traceable information left when you view YouTube. All of your activity will not be tracked by the app so you won’t see similar content pop up later when you return to the app. Don’t want anyone to know about your cat video watching habits? Incognito mode is your answer. To turn on the feature, just tap on your avatar in the upper right corner to open up the app’s menu. There you will see the Incognito mode option which you can tap to enable. 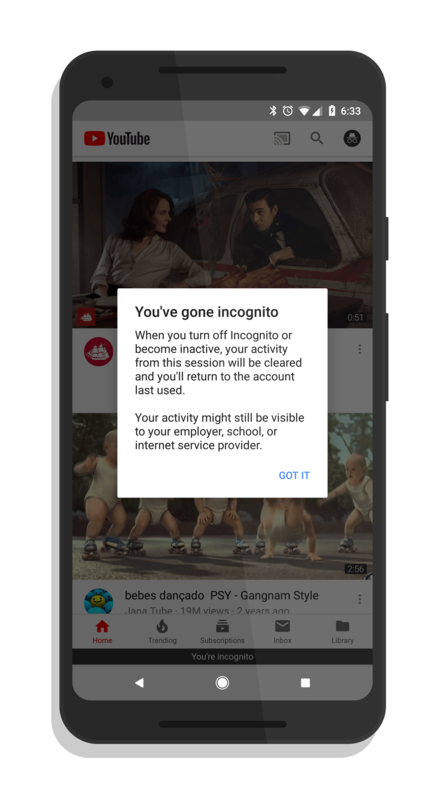 The first time you enter into incognito mode, you will get a pop-up warning letting you know that your ISP, employer, or school can still track your activity in the app even if you are in this mode. Again, it makes you invisible to the app, not to others like your employer or school. Keep this in mind if you have an employer who has a strict cat watching video policy. As long as you have the latest version of the YouTube app, you should have the feature. It started rolling out yesterday as part of a cloud-side update.